The CD “Il Tempo Dell’Amore” represents a travel through time via the beauty and romanticism of Italian song. Conceived with the intent of promoting the immortality and at the same time, the modern sound of Italian music, the CD presents fifteen tracks composed between 1883 (Mattinata) until 2002 (Passa e Va) that affirm that Italian popular music has always expressed the sentiments and passions of Italian society, registering faithfully the changes of customs that have occurred in the last century. Thusly over time many songs written in the difficult years of immigration address the love for nature or for a certain region (‘O SOLE MIO”, “TORNA A SURRIENTO”, “MATTINATA”), or later the memories of the war years (“PARLAMI D’AMORE MARIÚ”, “FIRENZE SOGNA”), and there`s no lack of songs about romance, jealousy and passion when Italy finally smiled again in the years of reconstruction (“LUNA ROSSA”, “MALAFEMMENA”) or of social problems as it worked its way into the more modern world (“NEL BLU DIPINTO DI BLU”, “‘A CITTÁ ‘E PULECENELLA”). In current times the songs “VIVERE”, “CANTARE É D’AMORE” and “DO YOU LOVE ME?” reflect the contradictions of modern times. 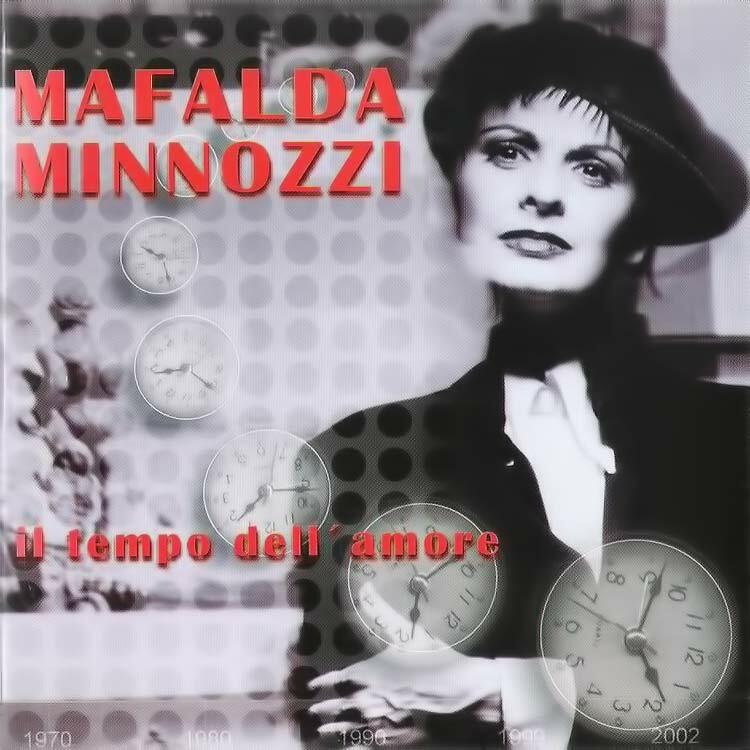 The central idea of the repertoire of “Il Tempo Dell’Amore”, which was assembled in response to the requests of the Brazilian public, soon grew to include some lesser known songs that were revisited because of Mafalda`s research while collaborating with TV Globo`s famous dramas about Italian immigration to Brasil (“Terra Nostra”/2000 and “Esperança”/2002). Completing the repertoire with four new songs and lyrics by Mafalda herself are “PASSA E VA” (in collaboration with Ilan Rechtman e John Neschling included in the soundtrack of the novela “Esperança”), “DO YOU LOVE ME?” (together with the CD`s arranger, Paul Ricci), “IL MIO SOGNO” (Mafalda`s Italian version of the song “SONHOS” by Brazilian composer Peninha that was previously adapted and sung by Mina to success in Italy in the 1980s) and “SPERANZA” where Mafalda`s lyrics which appear on the opening theme of the novela “Esperança” are sung here on the CD in a modern pop-rock style true to her original vision of the song. In this spirit, all of the songs on the CD present modern and original arrangements where listeners of all ages can experience this travel through time. The CD is also graced with two very special guest singers that are dear to the Brazilian public: Agnaldo Rayol who appears in duet on “VIVERE” and Peninha who reinterprets his hit “Sonhos” performing for the first time in Italian on Mafalda`s version of the song entitled “IL MIO SOGNO”. Rounding out the cast are some very special musicians that are well established in Brazil`s recording industry: João Cristal (piano), Hector Costita (clarinet), Osvaldinho do Acordeao (accordion), Itamar Collaço (acoustic bass), Pedro Ivo (electric bass), Amon-ra (violin), Bocato (trombone) among others that graced the CD and rendered it ever more special. con gli anni della gioventú. Canterai e quella canzone ti guiderá tra i volti che non perderai. perché mi lasci qui, trattandomi cosí? E tu, dimmi perché, mi lasci sola qui … perché ? Do you love me, do you love me? Perché mi lasci qui, perché ? quando l’amore mio ti canteró … oh !!! risponne: “é tarde che vuó sapé? Luna rossa, chi me sarrá sincera? Luna rossa, se n’é ghiuta l’ata sera senza me vedé! Tiene ‘o core ‘e nun turná? Torna a Surriento, famme campá! nun ce hann’a sta pe’ n’ommo onesto comme a me! ’o sole mio sta ‘nfronte a te! e schiudi l’uscio al tuo candor! Ove tu sei, nasce l’amor!